Sharon Secor, Fargo, North Dakota, coordinates the support of the development of dental clinics in the Kikuyu and Chogoria Hospitals. 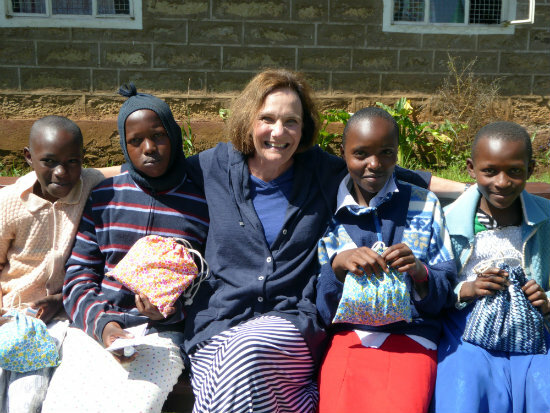 Her experience of traveling to Kenya for more than 20 years and her connections to community health professionals, schools, and government administrators in the region where our work is focused is critical to the success of our KOHI programs. In appreciation for her distinguished achievements and contributions to the dental profession and in appreciation of outstanding services rendered to the cause of oral science Sharon was inducted as an Honorary Fellow of the International College of Dentists. The International College of Dentists is the preeminent honor society for dentists in the world and has representative chapters in more than 120 countries, has over 11,000 members, including about 6,500 in the United States. She is one of few world wide to have received this honor.